You guys know we’re always on the lookout for the best resources to help you get from the ring to the aisle, preferably sans stress, arguments, and mood swings! So when our pals at Zola let us in on a little something they’ve been working on, we jumped at the opportunity to tell you all about it! 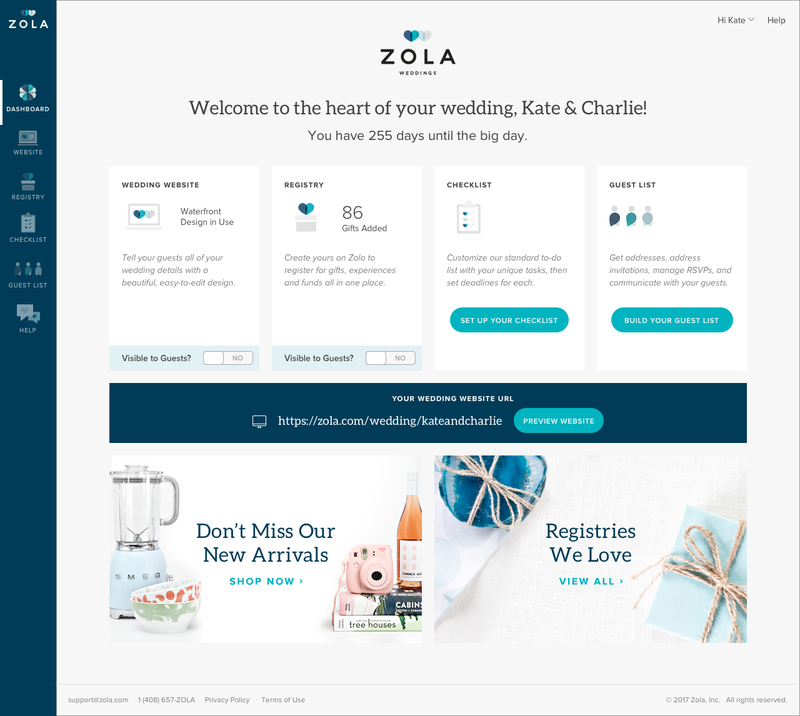 You may already have a registry set up with Zola (check out our tips), but GET EXCITED folks because now, not only is Zola your one-stop shop for all your fave registry picks, it’s the one-stop shop for your entire wedding! 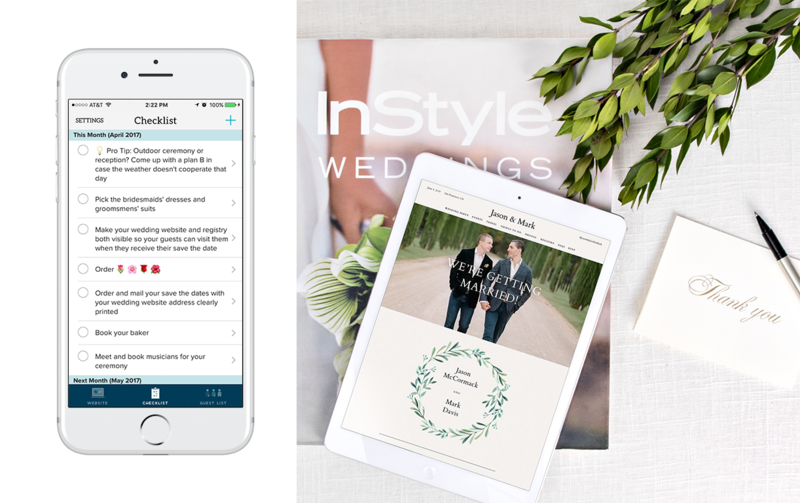 After surveying 500 newly engaged couples about wedding planning stress and finding that on average, couples used 3+ separate resources in the course of planning, the team at Zola got to work to create a better option that would reinvent the planning process. And guys? The result is GOOD. Zola Weddings is the heart of your wedding: modern tools to plan, organize, and get the word out about your big day! Let’s have a look at some of our favorite features! Dashboard: Welcome to your wedding hub. Sleek, simple, and easy to use, Zola pulled together the four top necessities for every couple: Website, Registry, Checklist, Guest List, as well as Zola Advisors for compassionate customer service when you need it most. They all live in one location, so you can find exactly what you need and get right to planning! We love the modern + minimalistic feel of the Franklin theme! Registry: Yes, we rave on about the Zola registry. For good reason! You aren’t limited to what only one store has to offer – with Zola, choose from over 40,000 products to fit every style and create one (beautiful, personalized, easy-to-shop) list! Throw in a few requests for experiences or start a fund for the most personalized registry on the internet. 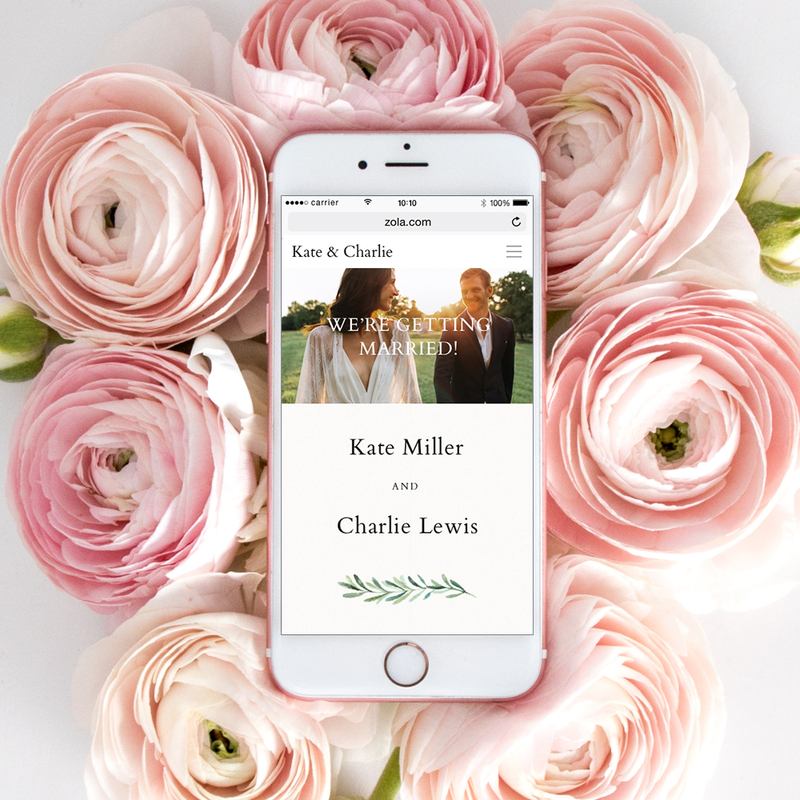 Guest List: Manage your guests (and every other aspect of your wedding, for that matter) directly from your phone! 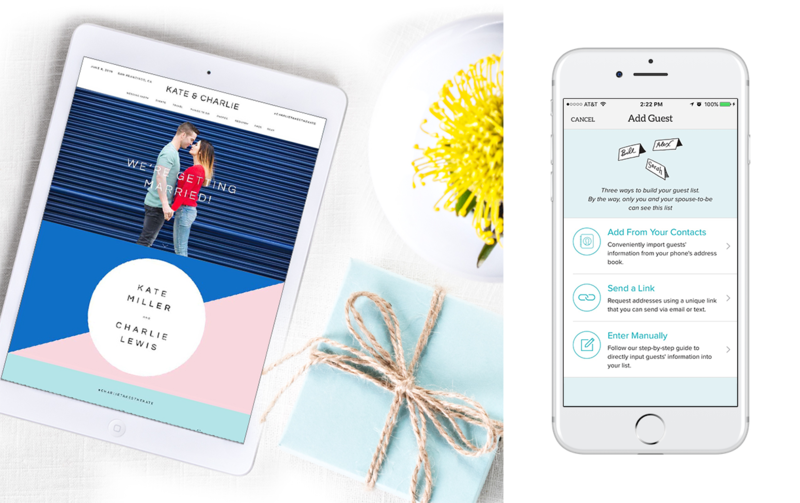 In addition to tracking RSVP’s, you’ll have access to your guests’ emails and addresses, and even a section to manage thank you notes for all those registry gifts! This post is sponsored by Zola. Thanks for supporting our sponsors!